The World Wildlife Fund (WWF), one of the world’s biggest conservation organizations, is breaking the law in its backing of a conservation zone in the Congo Basin, according to letters released today. 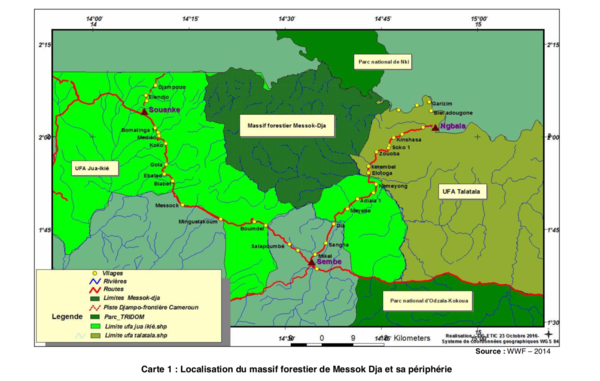 The letters demonstrate that the new protected area, known as Messok Dja, is being created without the free, prior and informed consent of the people who rely on that land for survival, members of the Baka and Bakwele tribes. The letters also document human rights abuses committed by ecoguards funded and supported by WWF. According to national and international law, indigenous people must give consent for any project affecting their lands, territories, and resources. Without the consent of the people who rely on the land for survival, the establishment of Messok Dja park is illegal. Over a hundred people from six villages in Republic of Congo have signed the letters, which also describe horrific violence and abuse by ecoguards funded and supported by WWF. A Baka woman explains what her community must endure because of the proposed national park, Messok Dja, in Republic of Congo. The ecoguard unit in Sembe was set up with the help of WWF and continues to receive financial and logistical support from WWF.